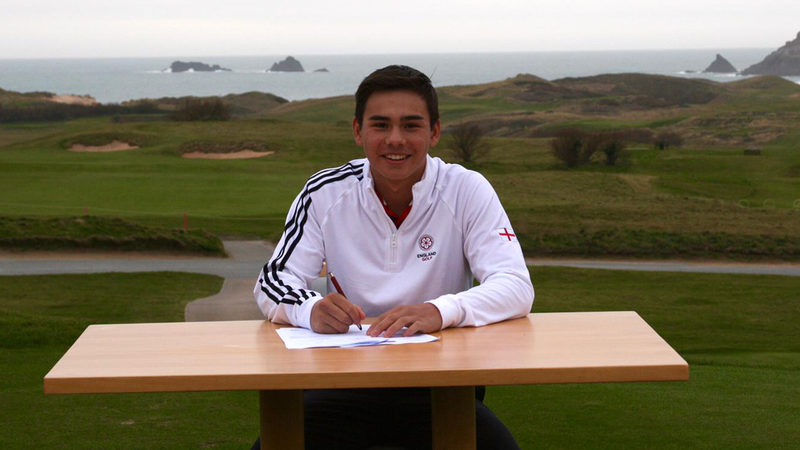 The 16 year old, a member of the England Boys Squad, will join the University where West Cornwall's Harry Hall is in his final year and also where former Cornwall player and Professional Philip Rowe is assistant golf coach. UNLV Head Coach Dwaine Knight said "George has an impressive amount of competitive experience at the international level and will be a tremendous addition to our already strong 2019 class. He has power from the tee and a drive to excel in academics as well. His passion for excellence makes him a great fit for our programme." Leigh has just come off a good year in 2018 where he won the Cornwall Junior County Championship, the South Western Counties Boys Championship, played in the English Boys County Finals, tied 6th in the national U16s McGregor Trophy and represented England in the Italian Boys Championship. In 2017 Leigh represented the England U16s against both Scotland and Wales. Before heading to the USA Leigh will continue to represent Cornwall in their Channel League matches and is expected to be part of the Cornwall team travelling to Parkstone, Dorset for the SWCGA Championship Week in June.